Classic styling and all-season traction. 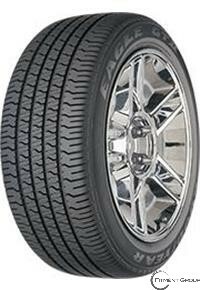 Solid shoulder tread block elements help provide cornering power, with enhanced handling and grip. Black-serrated or open white-letter sidewalls offer sporty, contemporary styling.